Our Range of Website Designs for Therapists & Complementary Healthcare Professionals. 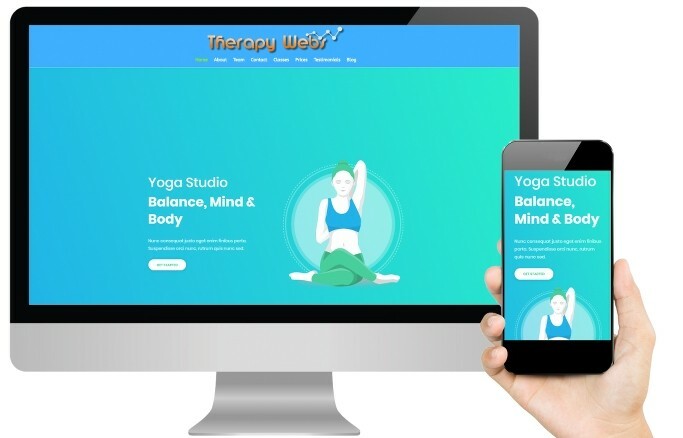 Therapy Webs offer a number of website designs and layouts depending on what your particular needs are. Whatever your line of business is, Hypnotherapists, Beauty Therapists, Personal Trainers, Zumba Teachers or Reflexologists can all be catered for as all of our website designs are customised using your own content (page wording), a selection of photos from our media stock and a site-wide colour strategy so that every site is uniquely you, even when using our pre-designed template layouts. Visit our Speciality Website Designs to see the full range of options. Regardless of which option you choose for your website, every single site we build is constructed using the WordPress Content Management software (so that you can manage the content yourself when you’re ready) and are all fully responsive so that they can be viewed on any device that your users may use to view your site with…..But that’s not all! We also offer various additional Web Design Services and options if you really want to extend your site. 10 page starter website design. 20 page template website design. 40 page template website design. 10 page Hypno-Band practitioner sites. 70 page focused Hypnotherapy web design. Web Design for Medical practices.